Traditional education system is still prevalent everywhere, though curriculum might have been upgraded but mode of imparting education and learning environment has still remained conventional. In traditional education system, a teacher, and students and textbook come together to create a learning environment that has eroded with time and converted learning into a mechanical and monotonous routine. With this, educational institutions are also witnessing falling chart of interest level in education and learning, hence, something new or more engaging method or technique is needed, which might provoke interest and excitement while learning, and make student concentrate more attentively. Therefore, different types of e-learning systems are being developed to not just create conducive and friendly environment for learning but also nourish creativity and innovation in the students. E-Learning refers to electronic learning, which basically is dependent on computer systems and other computing devices and hardware. 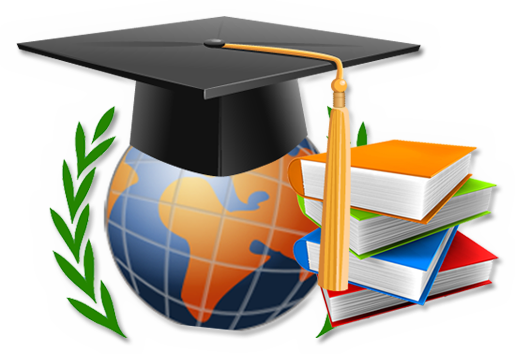 In contemporary period, IT-education relationship has witnessed radical growth, research and development, where IT and software development role of substitute and assistance to teacher is now transforming and moving towards self-sufficient and self-dependent e-learning environment that can work alone to impart education and leave impacting impression on the student. The constitution of such a system is also changing wherein developers and instructional designers are innovating concepts, ideas and technologies to make learning low-cost, friendly, portable, updated and effective. E-learning implements improved pedagogical methodologies that cater to institution classroom learning or distance learning environment. Most importantly, software development and design of these e-learning systems are depended on the decision to include teacher or not. Some of the popular software applications and technologies of e-learning are – CBT (computer-based tutorial), VBT (video-based tutorial), WBT (web-based tutorial), SBT (smartphone-based tutorial), CBLS (cloud-based learning system) and m-Learning. Usually, all these e-learning systems’ content are consisted of – texts, videos, pictures, photos, data and information, tools, communication facility, audio and graphics – beside this, pedagogical method to be applied, interactivity, usability, other extra features and functions, and interoperability are also important part of the designing and development of the e-learning system. M-learning is the new among all mentioned e-learning system, wherein mobile application, SMS, MMS, web-based smartphone compatible learning system and e-books are packaged together to provide mobile-learning solution. Mobile applications are rapidly gaining ground amongst all m-learning systems. A mobile application frees student to learning on the go, irrespective of where he/she is or at what time is he/she accessing mobile application. With an e-learning mobile application a student can chat to his teacher or watch educational video or listen audio or read his textbook or submit or create a project and assignment while on the move. Often mobile application are provided online connectivity, which can update course or provide news and information or give access to web-based learning systems and also enable real-time learning. Mobile e-learning apps are often made for popular mobile OS such as iOS, Blackberry, Android, Symbian, Palm OS, Windows mobile and MeeGo etc. A mobile app can support only one particular platform or OS at a time, and their interoperability is virtually non-existent that could be a drawback of the m-learning system, which endeavours to make education and learning commonly available.